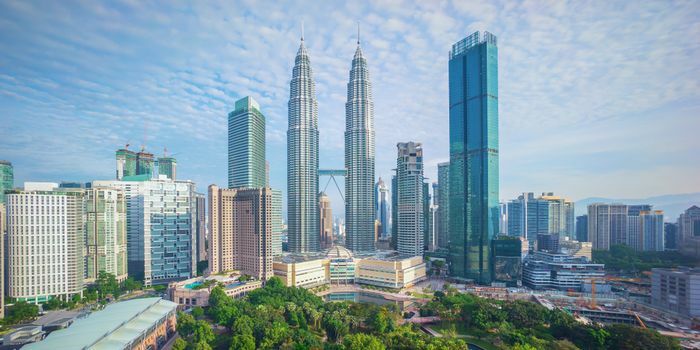 Study in Malaysia - One of the primary reasons for Malaysia’s growing popularity among international aspirants is its affordable cost of education and high quality tertiary educational standards. To cite an example, candidates can acquire a UK engineering degree (three years) in Malaysia at an estimated cost of RM 68,000 (US$17,000), whereas the tuition fee of the same three-year degree programme at the host university in the UK will tentatively cost around £36,000 (or RM217,000 or US$ 54,250). Average living expenses may cost up to RM54,000 for three years. Presently, Malaysia is holding the world's 11th position as the most preferred study abroad destination for international candidates. According to UNESCO (United Nations Educational, Scientific and Cultural Organisation), Malaysia has captured a two percent market share of international students in the fast-growing education domain. According to recent statistics, Malaysia currently has accommodated more than 100,000 international students from more than 100 countries across the globe. Moreover, the country has established some of the top colleges and universities like the Universiti Malaya (UM), Universiti Putra Malaysia (UPM), and the Universiti Teknologi Malaysia, which rank among the top 500 universities in the world (QS World University Ranking). The icing on the cake is that Malaysia is known to be travellers’ paradise over decades. Occasionally, some colleges organise class tours to one of its stunning beaches or adventure islands. Life in Malaysia can be a constant adventure where classroom lectures amalgamate with practical experience/application. With immense popularity as one of the finest holiday destinations for tourists, Malaysia’s consistent track record in the field of education justifies its fast emergence as a sought-after study destination. Interestingly enough, almost one in every ten students who study in Malaysia is international-one of the highest proportions worldwide. As an Indian student in Malaysia, one may feel at home since India falls under the three largest ethnic groups in Malaysia, namely the Malays, Chinese and Indians. The country is multi-cultural, with people from different religions, customs, and practices. International students do not face any security issues and enjoy a comfortable living environment with modern amenities, good healthcare and medical facilities, excellent educational institutions, and world-class recreational and sports facilities. Malaysia offers international students many options of quality education programmes at much affordable cost. If an aspirant wants to explore a life away from his/her native country, Malaysia is the most viable place to opt for! According to the Institute of International Education (IIE), Malaysia is home to over 100,000 international students. The average ratio of international to domestic students who study in Malaysia is 1:10, thus competing with major study abroad destinations like Australia and Japan. Interesting news is that the Malaysian government has plans to attract more than 200,000 foreign students to its shore 2020 and has a variety of educational schemes in place for aspirants planning to study in Malaysia. Asian countries including Bangladesh, India and China among others dominate in terms of the number of students; they mostly pursue full-time and online degree courses in Malaysia. For candidates aspiring to study in Malaysia, the initial step is to start research on universities. The following steps include the understanding of the admission cycle in Malaysia, application process and deadlines, mode of payment, visa requirement etc. In this article, Careers brings information related to the admission cycle of Malaysia including the application deadlines of some of the universities. It is crucial to be well-versed the Malaysia admission cycle as it helps international students to keep themselves updated with the application deadlines and processes. In Malaysia, the academic session for both undergraduate and postgraduate programmes start in February. Prepare the application package and obtain your test scores. Candidates considering Malaysia for studying abroad are strongly recommended to start the application procedure 8-12 months prior to the respective intake schedules. Intakes in Public Universities are scheduled in September. Intakes in Private Universities are typically scheduled in the months of February, July, September. Please note that- The Malaysia admission deadline dates for most of the universities are scheduled in October of the previous year for February intake and May-June of the same year for the September intake. If an aspirant plans to get into a good university, he/she should complete the application process within the mentioned time-frame. However, the deadline may vary depending on the university and its programmes/courses. Therefore, it is advisable to consult with the department concerned before applying to any particular university. The eligibility criteria for the undergraduate and postgraduate programmes differ in terms of educational qualification, countries where aspirants hail from, universities applying to. Applicants must obtain a Bachelor’s degree from a recognised university with an overall CGPA of at least 3.00.
equivalent of 12 years of basic education) with the grade 80 percent and above. TOEFL iBT- >59, PBT- 500. Applicants must obtain a Bachelor’s degree from a recognised university with an overall CGPA of at least 3.00 or higher/75 percent. Some scores require work experience as well. There are two classifications of the fee, namely Academic Fees and Non-Academic Fees. Once the prospective student gets confirmation from the university on his/her admission, the next major step is to obtain the visa. The students must apply for the Malaysian visa at least three months prior to the commencement of the academic session. International students need a ‘student pass’ similar to student visa as it is a key element to consider after applying for the chosen course. If a student is studying in Malaysia for more than a year i.e., two semesters, then he/she will have to renew the student pass as it is valid for one year only. Once students accept their study offer in Malaysia, they need to apply for the ‘Student Pass’. After which students will receive an approval letter which they will need to produce to the immigration officials at the Malaysian airport. The Malaysian Student Visa does not have any multiple categories. All international students, whether they have an offer from Private or government institution have to apply for the Malaysian Student Pass. Foreign students can apply for the Malaysian Student Pass through the Department of Immigration Malaysia. Malaysian government provides ‘Student Pass’ to international students who aspire to pursue their studies in the country. In most cases, the Malaysian student visa is facilitated by the university that the student has been admitted to. Foreign students can apply at the Department of Immigration Malaysia as well. It tentatively takes around seven to eight weeks for the student pass to be processed, if all documents are submitted by the candidate. For international students who study in Malaysia, Student Passes are valid for a period of 12 months. The application process for the renewal of visas has to be initiated six weeks before the expiry of the student visa. Another key element for visa processing is candidate photo. Two recent photographs should be submitted. (One loose and one affixed on the application form). Photograph specification: 3.5cm X 5cm 60 percent-70 percent face appearance in white background. Photographs should clearly show from crown to shoulders. The Student Pass lasts for up to one year – or the length of one’s study period if that’s less than a year. Students need to renew it annually if they’re studying for more than two semesters. Passport should be valid for at least six months upon arrival in Malaysia. Note- International student aspiring to pursue higher studies in Malaysia must apply for the Visa With Reference (VDR), meant for students, and NOT Visa Without Reference (VTR). Malaysian Student Visa without reference is only for the purpose of social visit. A holder of Dependant Pass (Expatriate). Dependents of students can also accompany them on the Malaysian Student Pass. However, only Postgraduate and PhD students can avail this opportunity. Malaysia is one of the affordable destinations to pursue higher education, especially, if compared with countries like the USA and Australia. The tuition fees in Malaysian universities are much lower than many universities across the globe with many charging just about USD 5,000 for engineering programmes against over USD40,000 in the USA for similar courses. The next big expense pertaining to accommodation also comes as a relief to candidates as the housing costs are just around RM300 in Malaysia. For maintenance, international students could require around RM500 including food, transportation, and other daily expenses. 1> Is there any age bar to apply for student visa? Ans: No, there is no age bar for applying for a Malaysian Student Pass. One can apply for a Student Pass only after being admitted to a programme at a Malaysian university. In fact, there is no age bar for applying to the university programmes either. Students aspiring for Bachelors should have passed their senior secondary and those vying for postgraduate programmes should have obtained undergraduate degrees. 2> Do I have to appear for an interview? Ans: No. Unlike some countries, international students are not required to appear for an interview for the Malaysian student visa. Students have to submit their documents along with the application form and the immigration department responds to the application within a week’s time. Most of the visa work is done through the universities. a. Two photocopies of a valid passport. b. Two passport size photographs with white background. Ans: Malaysian Student Passes are valid for just one year. After that students have to renew the Passes. Students can apply for renewal with their universities themselves. Education Malaysia Global Services requires students to submit their renewal applications within six weeks from the student pass expiry date. The Students do not have to go through medical screening for renewal of their visas. 5> Does my student visa allow me to work? International students are permitted to work during their semester breaks, holidays and if they have more than seven holidays. Foreign students can work 20 hours per week. International students can choose to work in restaurants, petrol pumps, mini markets and hotels. Malaysia does not allow foreign students to take up jobs as singers, cashiers, masseurs, musicians and guest relation officers among others.